Since being established in 1979, we have been taking care of a variety of patients from infants to elderly aged more than 100 years. For offering the best treatment, we always try to catch the most up-to-date information through the worldwide congresses and/or training programs of medical-dental universities and institutions in and outside of Japan. Workshop is regularly held in our clinic to blush up all the stuffs. “No pulling out, No shaving off and Painless” is our motto for all the treatments to everyone. 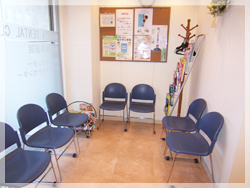 Finnish treatment system organized based on preventive treatment is practically used in our clinic. For children, ultimate aim is to complete healthy and beautiful permanent teeth. We always support to keep the best dental health condition not to get any cavities. For adults, as we believe that being able to using their own teeth through their life makes their eating habits very comfortable, we can offer a dental check in daily bases and give the information how to maintain their own teeth in order to achieve this goal. Three minutes on foot from Umeyashiki station on Keihin-Kyukou line. It is located mid of Kamata and Omori city in Ohta-ku, Tokyo. Our modern and decent facility including operation room is designed to provide to patients the highest level of comfort and convenience. 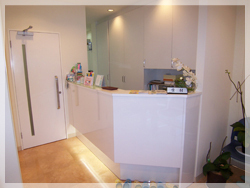 We can also offer a private room to patients who wish to be respected their privacy. At the time of check in, please feel free to tell it to the reception or write it down on the chart. Implant treatment can be offered to people who have unfortunately come to use artificial teeth. We strongly believe that we are able to offer the pleasure of eating with implantation just as the same as their own teeth. Its technique and material have amazingly progressed lately and it is now one of the reliable methods in dental-medical field. The ratio of its successful outcome has greatly increased, as well. 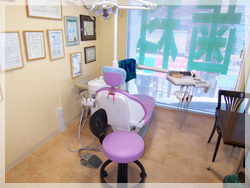 Exclusive operation room is equipped for implant treatments.